Last week of summer – get ready Kindergarten! Oliver will be joining the coutless others who have ventured out of Pre-K and into K. We are getting prepped and ready for that day next week when I drop him off in green shorts instead of blue shorts and I get to try and figure out all of his friends names again. Focus, boy! Focus! I guess I have to get ready for homework now. I have heard from other friends who are a year ahead of me in this adventure that they are much more busy with their Kindergarten school tasks than they ever thought they would be. We’re ready. A+ all the way for this kid. Last night I was trying to work on pinning my blocks for the MIL quilt, when precious daughter wanted to be on top of my every move. 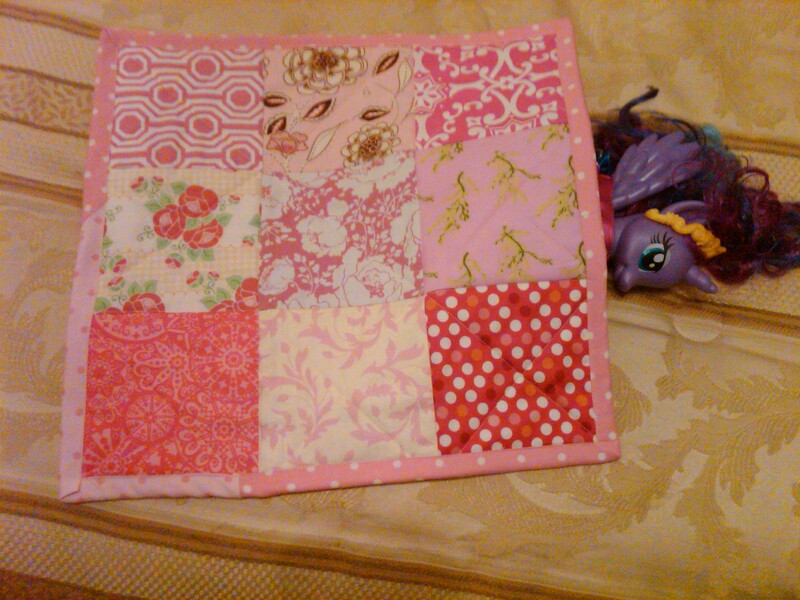 I gave her the task to pick out her favorite pink fabrics from her personal collection and I would whip them up into a ‘pony’ doll quilt. She loves to follow orders, this one. But – every action requires a form of game play. I can’t just be handed the fabric – I have to clap my hands like ‘this’ and catch the fabric before it hits the floor and spin around, etc… Before we turned off the lights for the night, I had the doll quilt finished and Purple Pony was tucked in. 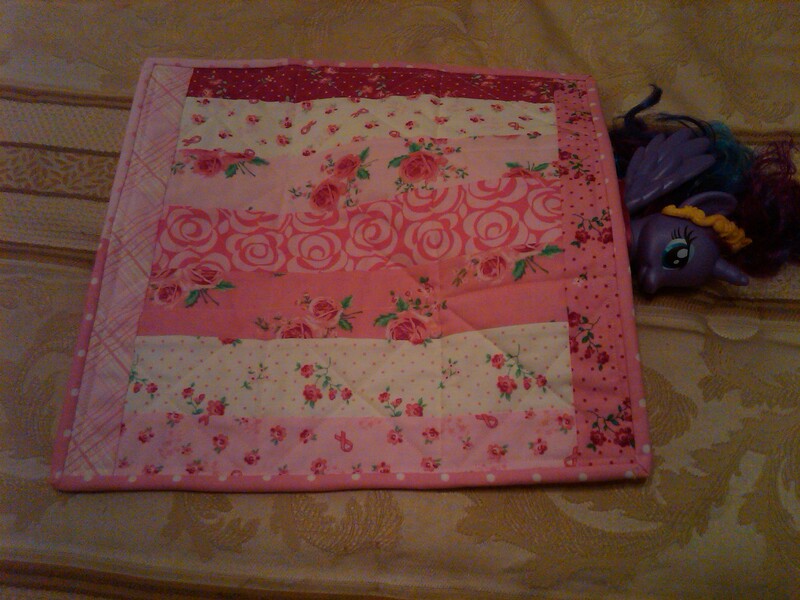 Pony quilt – front. 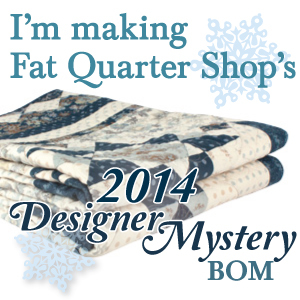 9 patch of 5″ charm squares. “Oh Thank you Mommy!”. Worth it all. 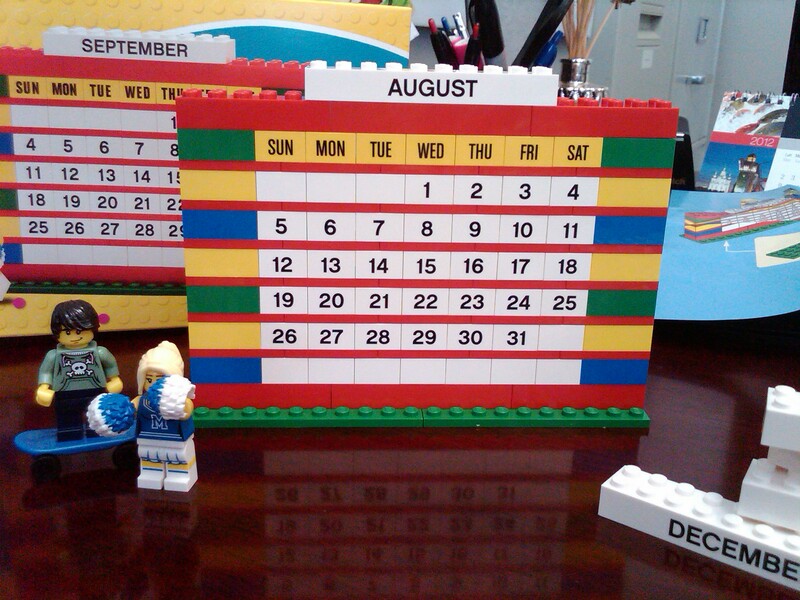 My other homage to my children is the calendar I built today at work. I got it from the Lego online store last week. They (mostly boy child) are so into Legos right now, and I guess I have jumped on the bandwagon. It makes me smile to look at it and it is functional too! He asks me every day for a Lego set (or 3) and secretly I think… “hmmm, I really would like that Police Station, or maybe the Robbers Hideout would be cool…”. I thought this calendar was an appropriate compromise. The lego figures in the picture will get returned home as consolation prizes for the fact that I’m keeping this toy for myself. Hope you have something around you today that makes you smile as well.